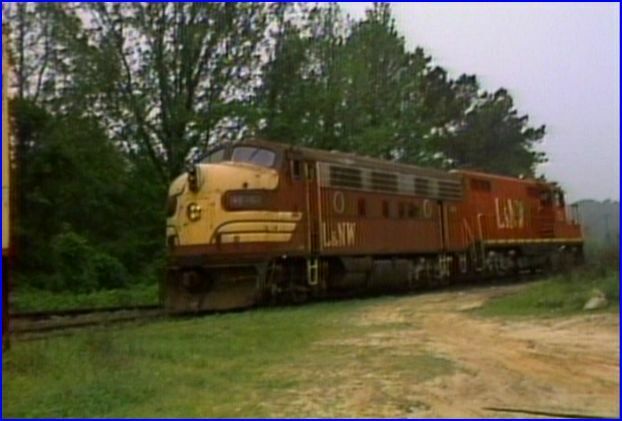 Early Diesels looks at vintage locomotives that were operating between 1987 and 1989. . This is actually the first volume of Early Diesels. Greg Scholl Video Productions has this in a 3 volume set. ATVR will review each volume individually and a roll-up review of the entire set. 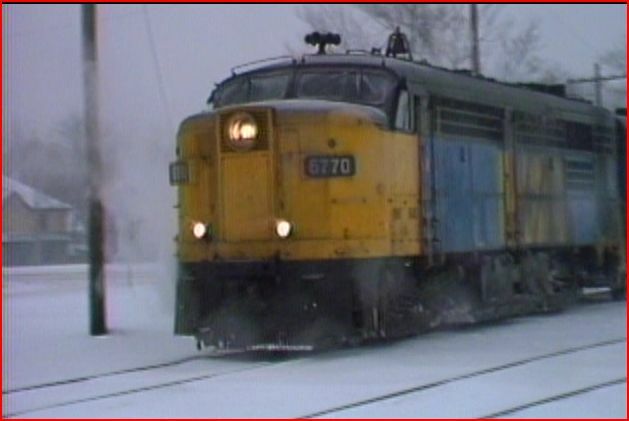 Greg Scholl Video Productions is a veteran supplier of train videos. He has been in business since 1984 to provide high quality railroad entertainment. Hey, this is for serious railfans. His style is direct and to the point. Your time and subsequent enjoyment will be 100% trains. 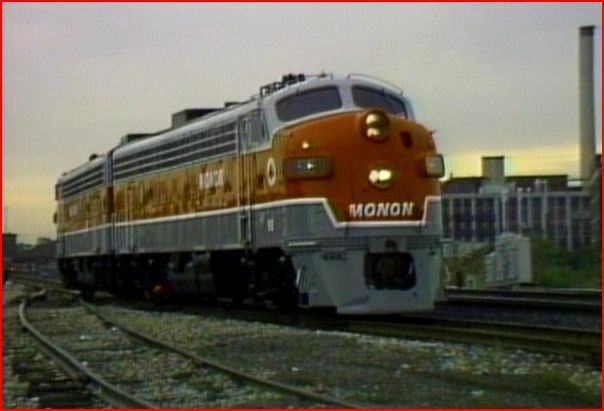 Although I do appreciate many of the other aspects of train video programs, it is refreshing to just sit back, and be delighted with all of these classic locomotives. No music, no filler, just trains. A wide variety of locomotives, railroads, locations and trains, will keep your attention. The fast paced program goes by quickly. The chapter menu makes accessing your favorites a snap. There are also some preview segments for some more Greg Scholl programs. You’ll get the previews for Early Diesels 2 & 3 plus additional shows. The show will bounce around quite a bit. There are no maps. We don’t need them anyway. There are on-screen graphics that denote locations. Most sequences are relatively brief. Shots of the locos with additional operational footage. Covering over a dozen railroads is a task. United States gives 9 states of ‘vintage hunting’ and let’s throw in a big serving of Canadian revenue service action, in winter, to boot! 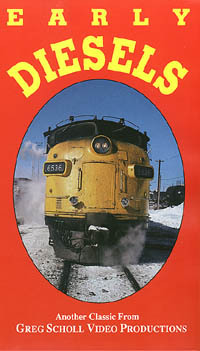 We are to see vintage diesels that were still operational between 1987 and 1989. Greg Scholl has found and presents an assortment of 1950’s era EMD and Alco locomotives. 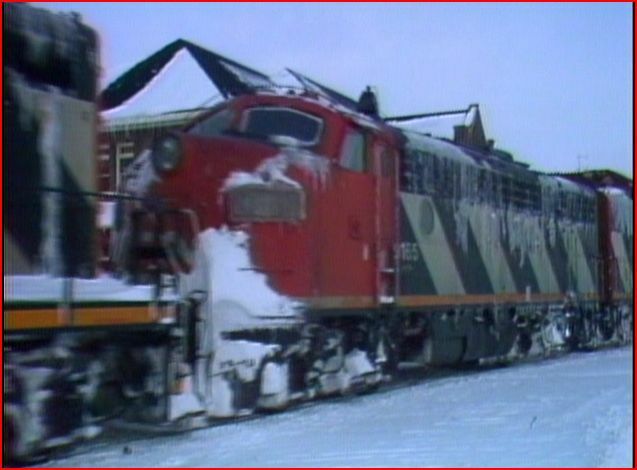 Crossing much of the United States and venturing into snowy Canada, these diesels were rare birds to find. The narration is a no-nonsense style. All of the information is relevant to what is happening, on-screen. John Edwards Hingsbergen gives us a professional narrative. A well-balanced delivery, it never overwhelms a scene. Natural audio is ever-present. This combination does make for great trainwatching. Wyoming & Colorado FP7 units were from Alaska Railway. They roll across Wyoming with passenger cars. Mountain Diesel. I saw these, and the L&NW, in magazines around 1989. They are much better viewed, under a load, pulling trains. Louisiana & North West has ex: Southern Pacific F7A trailing a GP18 on freight. Repainted into the L&NW scheme. Good railfan action and an uncommon chapter. Talking about uncommon. Surprise! A pair of gray and red Monon FP7A’s. Former Milwaukee Road units and now owned by a museum. 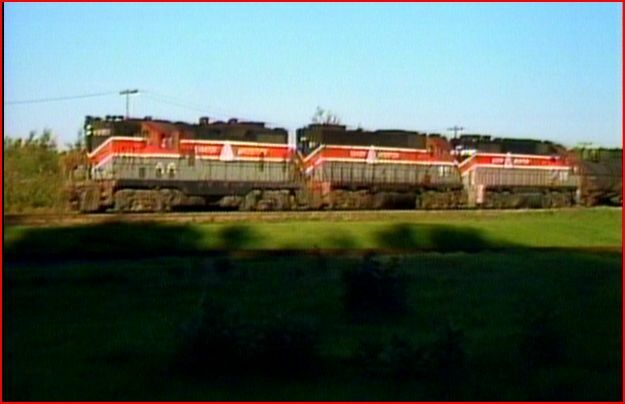 They appear at Indianapolis to run a passenger excursion. Short and sweet. 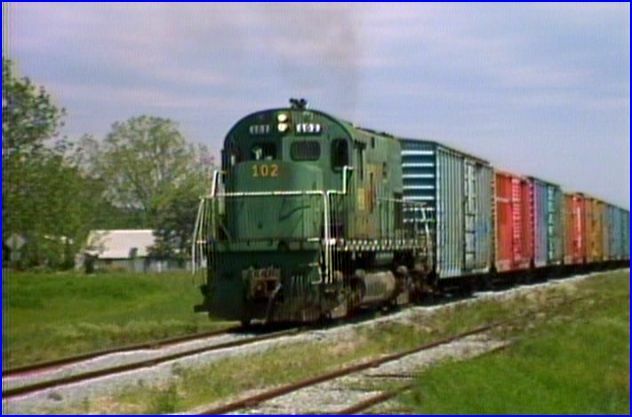 Little Rock and Western has some Alco C-420 locomotives based in Arkansas. Bangor and Aroostock is one of the more notable American railroads featured on this release. 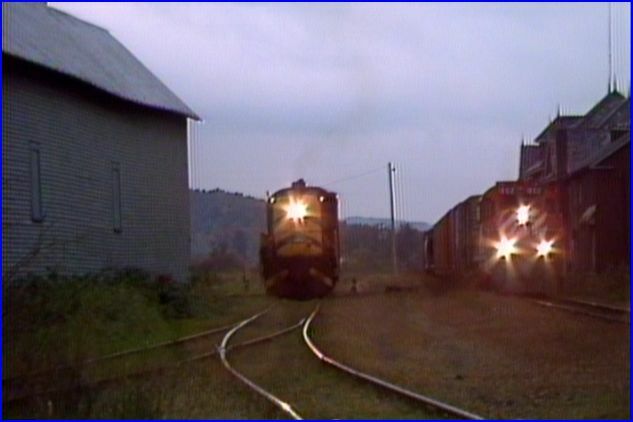 A trio of GP7 locomotives are in a lash-up with GP38 engines at North Maine Jct.. A GP38 leads a single GP7 on a freight on the B&A tracks through scenic Maine countryside. After some switching, the GP7 is on the point. Nice chapter. 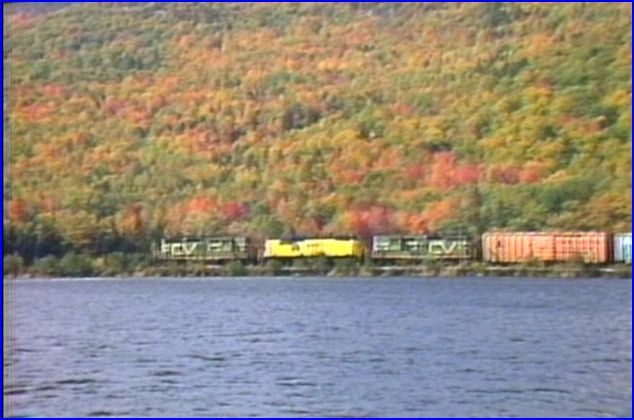 Central Vermont was the previous owner of some St. Lawrence & Atlantic GP9’s, which are still in CV green and gold colors. Leaving Maine, the train travels into New Hampshire. The fall colors are gorgeous. At North Stratford, the train passes the station and heads towards Vermont. New Hampshire footage is uncommon. Another fine chapter. St. Johnsbury, VT. displays a CP Rail RS18 heading north to Wells River. 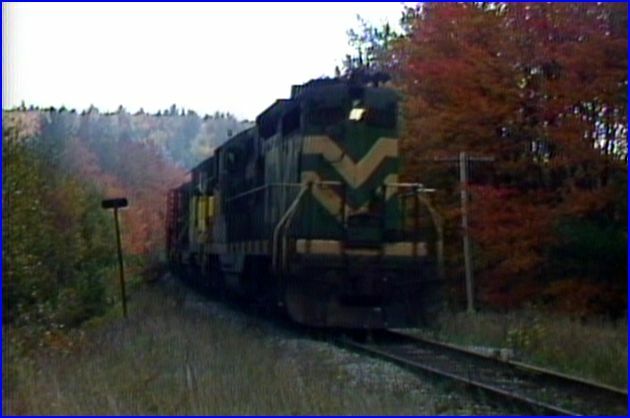 Twin States has a Lamoille Valley Alco RS-3, still hauling freight trains at this late date. It has a chopped-nose, as was done to many surviving units. Reminiscent of a former D&H or CP Rail modification. Belfast & Moosehead Lake fields six GE 70 tonners. Southern Railway FP7A units are operating as a trio, handling a long passenger excursion. They do look elegant in the Southern green, white and gold scheme. Subsequently, were sold, not long after this was filmed. Proceeding to Canada with the wintertime photography. This is a highpoint of the program. Recorded in February of 1988, adds the natural dramatics of snow. This section is a show within the show. Runs about 30 minutes and is very cohesive. 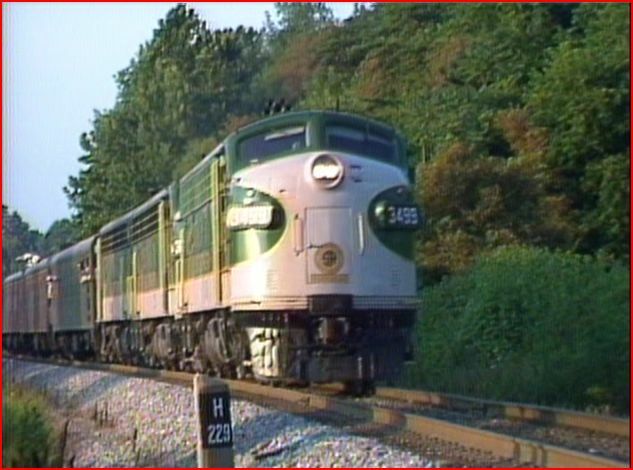 It is exciting to see these early diesels in revenue service on class one type railroads. Along with GP40L, SD40-2 units, the classic engines pull their share. 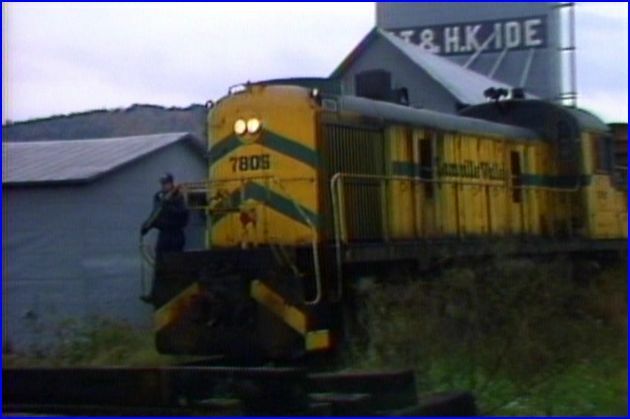 Note the factory fresh Southern Pacific GP60 locomotives at the EMD London, ONT. plant. This extended winter visit to Ontario, is worth the price of admission! Stratford, Ontario is in a deep freeze. VIA Rail has Alco design FA units in passenger service. 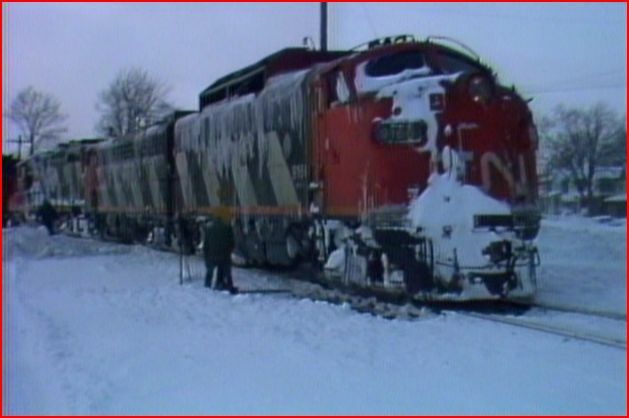 Canadian National has some ice encrusted F7A units running there. Those were on the roster for plow service.They are viewed, one year before retirement. Older and newer power are intermingled in this long chapter from Ontario. 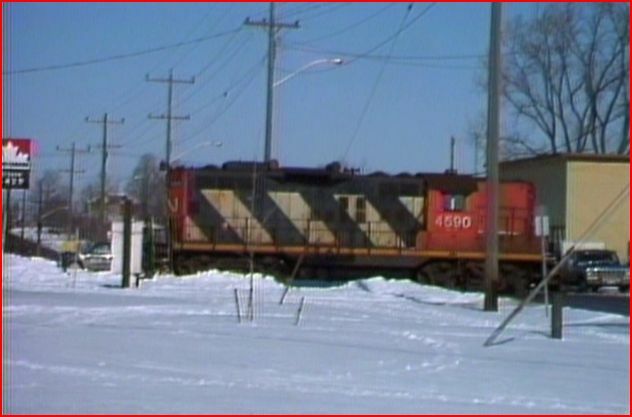 CN GP9 which has retained the original high hood is viewed. AN Amtrak F40 led passenger train, The International, marks decades of evolution in locomotive design. A CN SW1200 rounds out the classic scene. CP Rail shows some of the old Alco designed road muscle. MLW C424 and C636 on mainline freights, even high priority TOFC hotshots to Chicago! A satisfying train video program. The Canadian segments are great. This is a high quality, professionally done program. No issues, no excuses. Being this is available as a set. There are two pricing structures. You can buy them individually or in a 3 volume set. The set is an improved value. Early Diesels is a fine show. The complete set is also a good way to go. 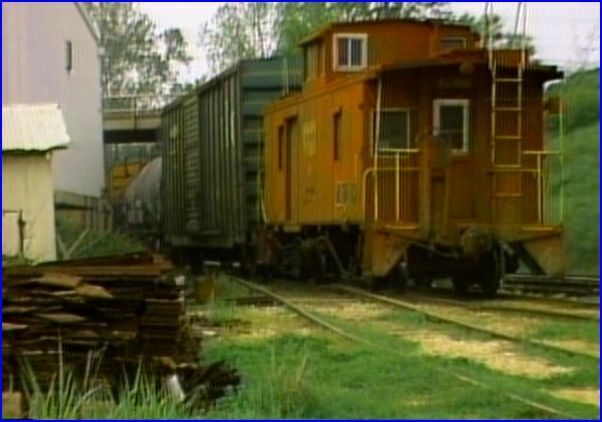 This entry was posted in ATVR Reviews, Greg Scholl and tagged American Train Video Reviews, Amtrak, Canada, Canadian National, Railroad, Train DVD, transportation by William J. Hudson. Bookmark the permalink.